Struggling to make it through this winter? Here at the Amazing Blog we have been trying to combat the gloominess with some warming hot drinks. We are sure you'll agree that when it's as wet and grey outside as it is today, there is nothing better than curling up with a tasty and comforting hot drink. So, we thought we would round up some fun and unusual winter warmers, that are guaranteed to make you feel cozy and comfortable. Akesson’s is a brand that passionate about cacao. Today Akesson’s has grown from a single plantation to haveing buisness with plantations based in Madagascar, Brazil, and Indonesia. The company produces undoubtedly one of the finest forms of cocoa, which they supply globally to famous chocolatiers and chefs. We loved trying Akesson’s exclusive line of chocolate and we particularly enjoyed the Choco-Tea Cacao Infusion. The tea is a natural product made from cacao nibs and their shells, producing a rich and warm flavour that lifted our spirits after exposure to the damp weather. The cacao in this comes from the Sambirano Valley, in the North-West of Madagascar, and has a wonderfully expressive chocolate aroma, with subtle fruit and citrus notes. The tea is organic and rich in polyphenols, antioxidants, iron, magnesium and Vitamin D, making it a very healthy and natural drink. We infused half of one large teaspoon for five minutes in hot water. We liked the fact the tea is not overly sweet, but of course, if you like your tea sweeter adding a teaspoon of honey or sugar can help round out the flavour to match your cravings. Try Akesson’s sumptuous Choco-Tea here for £6.95. Pure Chimp’s Super Tea specialises in matcha green tea, a nutritional powerhouse produced in Japan. This tea is different to regular green tea, as it's partially grown under cover helping to fill it with extra goodness. Equally, matcha tea also differs from normal green tea as it has higher levels of theanine and chlorophyll. Theanine offers a wonderful energy boost without the crash that usually follows after a cup of regular caffeinated tea. The higher chlorophyll gives this tea a lovely soft and smooth flavour that we can’t get enough of. We love the versatility of this product. You can add it to hot water, juice, smoothies and even bake with it. Our favourite combination was to simply add hot milk and drink it as a matcha latte! The product is also suitable for vegans so everyone can enjoy the health benefits of Pure Chimp Super Tea. Try Pure Chimp’s Super Tea here for £4.95. Next is PHROOTI, a UK based brand which has created the perfect product for those of us who don't like tea but still enjoy the tradition and comfort that a good hot drink can give. The founders of PHROOTI were frustrated with conventional flavoured teas that smell incredibly fruity but lack any real and discernable flavour. The brand thus decided to reinvent fruit tea to give the people what they want, and we can't thank them enough as the result is delicious. PHROOTI consists of 95-97% natural and dried fruit powder and contains no traces of tea. This gives the product an intense fruity flavour that is guaranteed to tantalise your taste buds! The faux-tea is caffeine-free, low calorie, and free from added sugar, making it a delicious and guilt-free treat. PHROOTI currently comes in three fabulous flavours, including Sour Cherry and Cranberry, Blackcurrant, Blackberry and Blueberry. Our favourite was Raspberry and Strawberry. This is the perfect option for those who don’t enjoy tea but love fruity flavour infusions. Try PHROOTI here, you can buy 6 packs for £17.70. We thought we would end today’s feature on a more traditional and classic note, simply, tea. 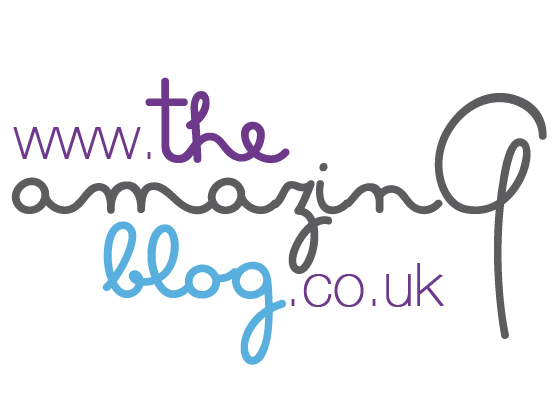 Here at The Amazing Blog, we love tea and love to try out new and exciting flavours. Tea Shirt is a new UK brand founded by a tea-obsessed couple with a passion for discovering high-quality teas and unearthing original flavours. After the endless office tea runs we've all done, you know how hard it is to find two people who enjoy their tea the same way. Whether it's an argument over when the milk goes in or type of tea, it can be a nightmare filling out those tea orders! But this isn't a problem with Tea Shirts, as not only are all their teas delicious but they have an extensive selection to choose from; ranging from the typical ‘Irish Breakfast’ to unusual flavours such as ‘Barbados Rum’ and ‘Marshmallow’ there is definitely a flavour for everyone. We personally loved the ‘Apple and Grapefruit’ tea blended with its fresh and citrus flavours, we felt completely revitalised and refreshed after a cup. The teas are packaged in “Tea Shirts” - labels which mimic traditional textiles and embroidery from the areas where they originated. We think Tea Shirts makes a perfect gift for tea lovers or just a winter warmer by the fire. You can buy Tea Shirts here from £1.79.